Citrix technology is used to provide remote users with access to key business applications. If Citrix access is not available or slow, users will be less productive and the business will suffer. 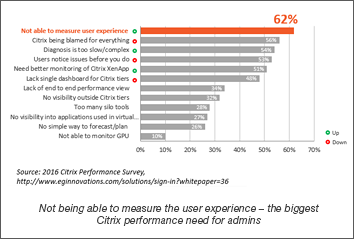 To ensure Citrix success, administrators need to be sure that the Citrix user experience is always optimal. 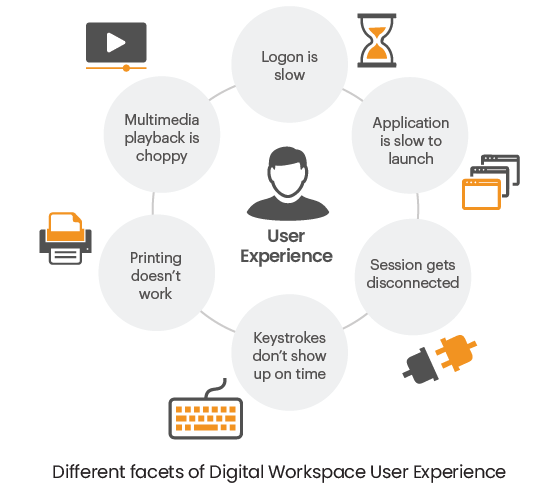 There are many facets to the Citrix user experience. Key aspects include: logon time when the user connects to the service, application launch time when the user first accesses an application or a desktop, screen refresh latency when the user performs interactive tasks, and available bandwidth when a user performs actions in the application. Citrix is one of the most performance-sensitive applications in enterprise networks. A performance issue anywhere in the infrastructure can lead to users reporting that Citrix is slow or not working well. To ensure great user experience, Citrix administrators must be able to monitor all the different aspects of Citrix user experience proactively. 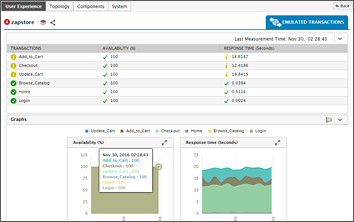 And when a user experience issue is detected, they must be able to quickly detect and resolve issues to minimize downtime. 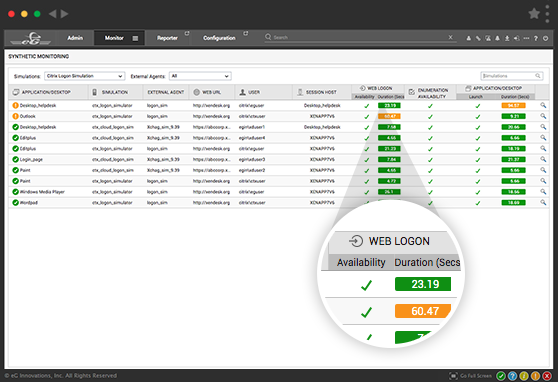 Easily identify what affects user logon experience: credential authentication, application enumeration, application launch, etc. Admins can use the recorded script to simulate a full Citrix session—24x7—and report availability and performance at each step of the user interaction and from different locations. Comparison of network latency with the screen refresh latency reveals the cause of slowness. For example, if the network latency is high, then an increased screen refresh latency is attributable to network slowness. 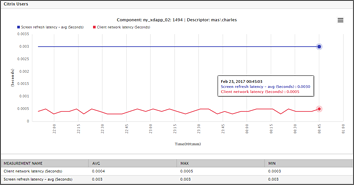 Using this information, Citrix administrators can easily identify if slow performance is due to the Citrix servers or because of a user’s connection to the Citrix farm. 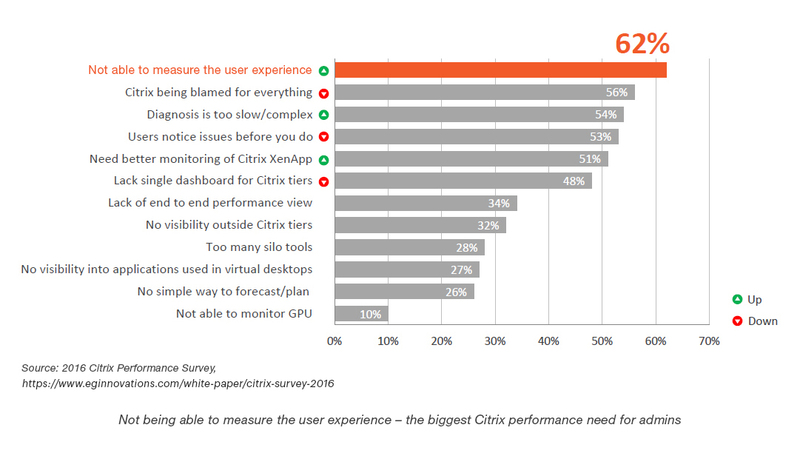 Monitoring of virtual channel usage for each Citrix session provides great insights into factors that can affect the Citrix user experience. eG Enterprise tracks the line speed at which the user is connecting to the farm, the overall bandwidth usage and details of the bandwidth used on each of the virtual channels. Using this information, administrators can determine if the user is performing any unusual activity that could be causing higher latency (for example, printing a large file in the background, watching a bandwidth-consuming video). Abrupt disconnects from the Citrix farm cause users to lose work from their session. 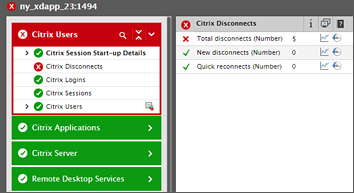 When disconnects happen, they also leave behind user processes on the Citrix server/desktop. This results in wasteful usage of resources on the Citrix server/desktop. 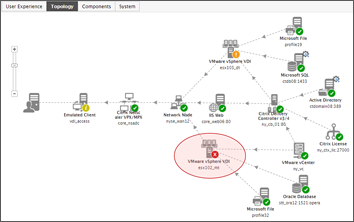 eG Enterprise helps identify unusual session connection losses when they occur. By auto-correlating session performance with other activities on the Citrix servers/desktops, eG Enterprise helps identify the reasons for such disconnects—such as a bad printer driver causing sessions to be disconnected. When performance problems happen, if it takes hours or days to resolve the problem, users will be frustrated. To ensure user productivity and satisfaction, Citrix administrators must be able to quickly identify and resolve the cause of performance problems. With eG Enterprise, administrators can not only monitor every component of the Citrix Stack (XenApp, XenDesktop, XenMobile, XenServer, StoreFront, NetScaler, Provisioning Services, License Server, etc.) 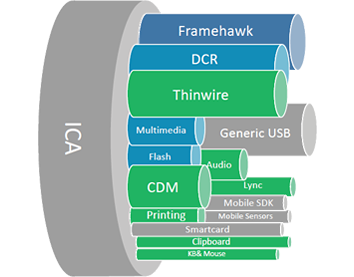 but also the supporting infrastructure tiers (Active Directory, virtualization, storage, network, applications, etc. )—all from a single, intuitive web console. Since mid-2014, eG Enterprise has been the exclusive performance monitoring solution for the on-site infrastructure running Citrix’s major user and partner events, Citrix Summit and Citrix Synergy. 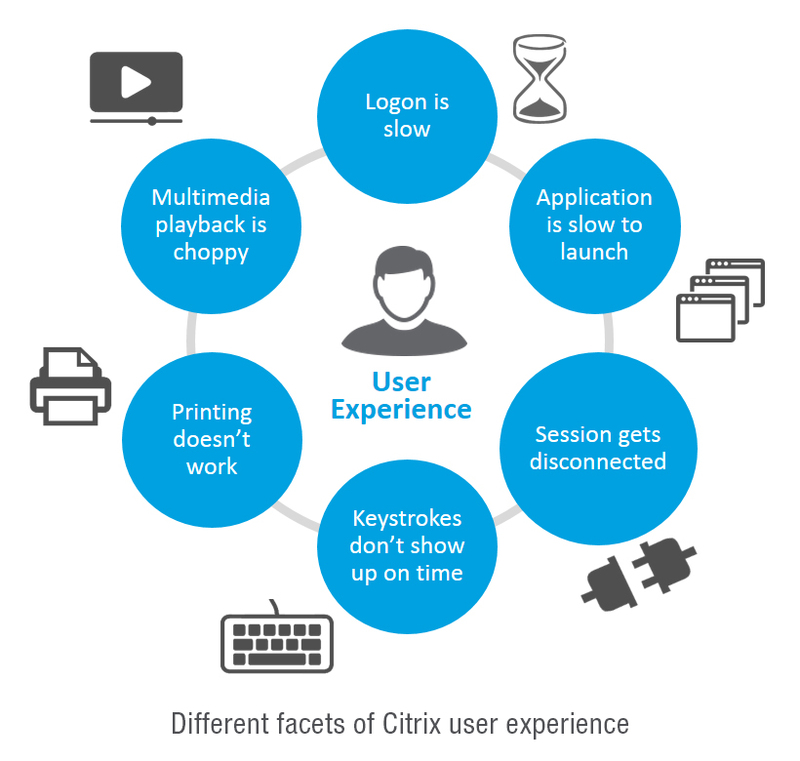 Webinar Choosing the Best Approach for Monitoring Citrix User Experience: From Network? Server? Client?